If you’re not sure what to make for dinner tonight, look no further. 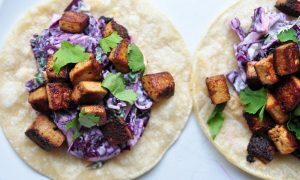 These tilapia tacos are so good, and they come together in about 20 minutes. 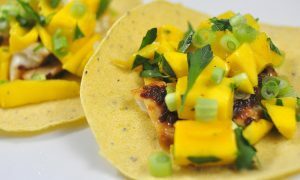 The fish is spicy, flakey and a little crisp and the mango salsa is sweet, sour and juicy. You’ll love them. Lately it seems like every fruit stand has had these super ripe and delicious mangoes on sale. For the first couple of weeks I was just eating them, then I added them to smoothies and fruit salad and now it’s time for mango salsa. I left this salsa super simple and mild, but you could also add a bit of chile pepper, if you want it spicy. I wanted the mango to cool down the spice in the chipotle, but add it if you’re a spice fiend. 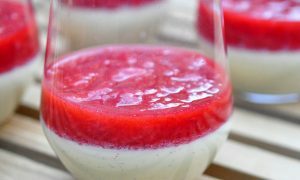 This recipe is four easy steps. 1. Whisk up ingredients for the glaze. 2. Coat the fish fillets and broil. 3. Chop up mango salsa ingredients and mix it. 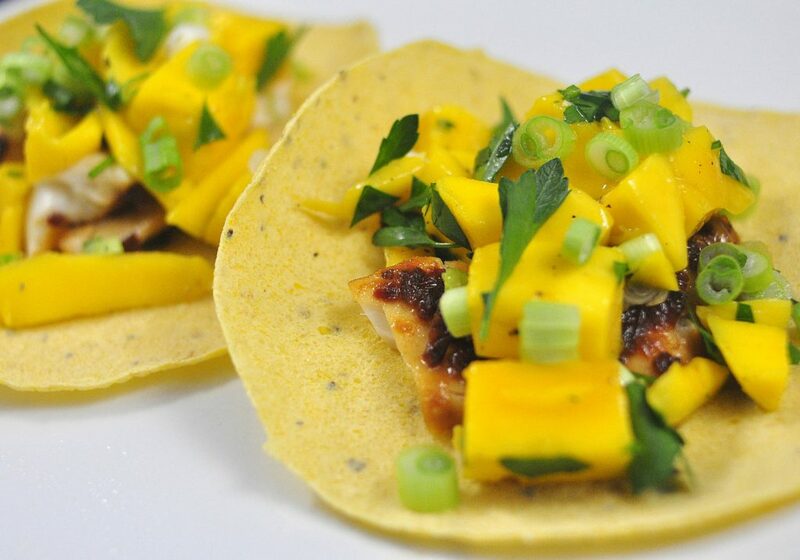 Broiled and chipotle-glazed tilapia comes together with mango salsa in a crisp corn tortilla. 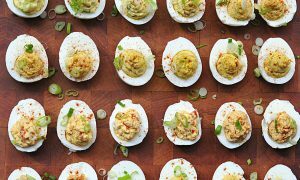 Whisk the chipotle, lime juice, and honey in a small bowl and set aside. Turn on your broiler. Line a sheet pan with aluminum foil and pour a small amount of olive oil onto the foil. This is just to keep the fish from sticking. Sprinkle about 1/4 tsp of salt and pepper all over each fish fillet. Place them on the prepared pan and pour the glaze over the top. Flip them over to make sure they are evenly covered all over. Let the fillets sit for 5 minutes. 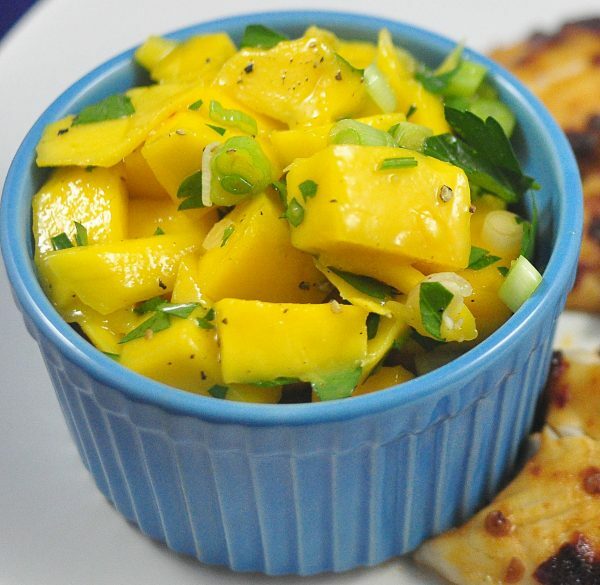 While you wait, make your mango salsa. Mix all the ingredients together in a bowl and then taste. 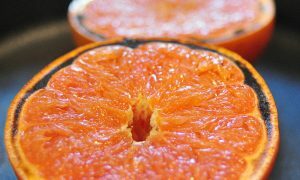 Add more salt, pepper and lime juice according to your taste. Place the fillets in the oven under the broiler and set the timer for 5 minutes. Watch carefully. You will need to adjust the cooking time depending on the size of your fillets. 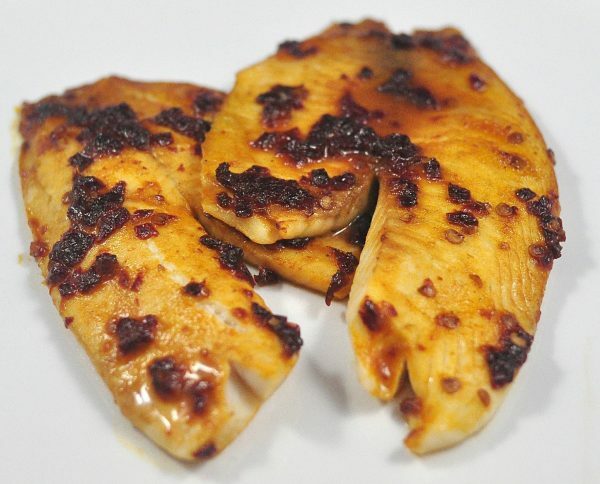 For the small Tilapia fillets we had they took 5 minutes and were perfectly juicy and flaky. If you have bigger fillets or thicker cuts like Halibut then leave them in a few more minutes. You can tell they are properly cooke when they flake apart when poked with a knife. Toast your tortillas in a pan on medium heat until a few light brown bubbles form on each side. Place two tortillas on two plates and divide the two fillets across the four tortillas. Spoon mango salsa generously over each and sprinkle with more scallions and cilantro.